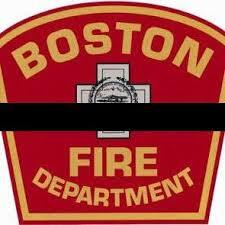 This past week the city of Boston mourned the loss of two of its heroes: Boston Fire Department’s Lieutenant Ed Walsh and Firefighter Michael Kennedy. I cannot say that I knew these brave men who perished battling an inferno on Beacon Street last Wednesday, only that I wish I had. From the glimpses of their personal and professional lives I’ve gotten from the news coverage, these were compassionate and strong men cut down in the prime of life. My thoughts and prayers go out to all those who knew and loved them. Lt. Walsh and FF Kennedy are just two of the hundreds of heroes that we in the city of Boston are blessed to have. The tragedy of March 26th should remind us all of the risks and sacrifices that our city’s finest – our police, fire and emergency officers – make for us every day. We ought to be grateful that there are those among us willing to enter burning buildings, active crime scenes and smashed vehicles to ensure our safety and security. We are blessed that there are those who are willing to lay down their lives for us. If you were like me, it was emotionally overwhelming to see the thousands of officers in uniform from all across the globe in Watertown and West Roxbury paying tribute to their fallen brothers. As I watched portions of the funerals, I thought of the other officers at their posts, at their fire stations waiting for a call, waiting to risk their lives for the sake of their community. It was in that moment that the words of Jesus reached their greatest clarity in my mind: there is no greater love than this. Later this month, we will observe Easter and celebrate the Lord’s victory over death. But before we can celebrate by singing “He Lives” and “Christ the Lord is Risen Today” we will need to endure Good Friday, the day we watch the Savior die. Jesus knew that his disciples were not fully prepared for this and so he shares his heart with them on the eve of his death. Among a great many other things, he shares the words quoted above. His words are comforting to those whom life has dealt a bitter blow. His words remind us of the great love those who sacrifice all have for others and the great love God has for us. Our hope and comfort begins with the fact that Christ died for us; that he laid down his life for us, his friends. Our hope and comfort remains due to the fact that death could not hold him and that he rose victorious, and he promises to take all who believe in him to be with him forever. This is the hope and comfort I pray for the Walsh and Kennedy family and for all those who sacrifice – on home soil or foreign – for our collective safety and security.